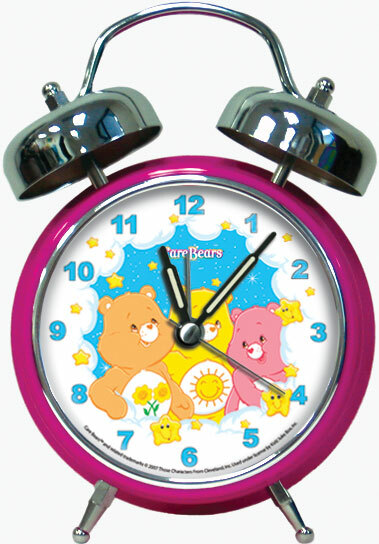 A collection of 4 personalized musical alarm clocks for children. Why wake up to a boring alarm clock, when you can wake up with a personalized alarm clock! 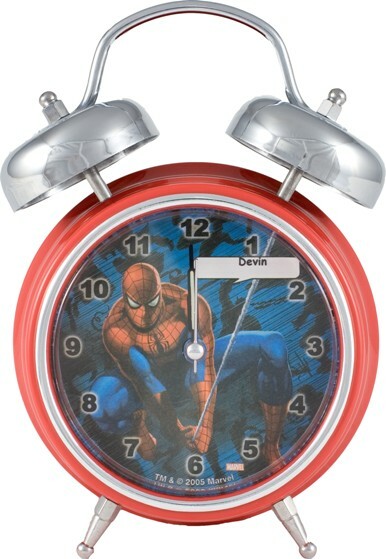 With any one of our 3 designs; spiderman, ballerina or care bears, the clock will sing a personalized wake-up song as an alarm! (ex: "WAKE-UP JASON! IT'S TIME TO START YOUR DAY!") Your child can start every day right, by hearing his or her name..., guaranteed to make them feel good! A "Wake-Up" song has been sung individually for each name in our database. What a perfect "any occassion" gift for a child! Just as a Personalized Book will be read "over and over again",.....a Personalized Music CD will be listened to "over and over and over again", and a Personalized Singing Alarm Clock will be used "over and over again!"